A range of boxes offering exceptional value. 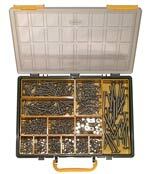 Stainless Steel Bolts, Sets Screws and Machine Screws. Stainless Steel Coach Screws in A4 /316, DIN 571. Hose Clamps - Hose Clips in A4 / 316 Stainless Steel. Shackles, Eyebolts, Clevis Pins, Wire Rope Clamps, Chain, Spring Hooks etc. in A4 / 316 Stainless Steel. Stainless Steel Annular Ringshank Nails & Panel Pins. Stainless Steel Nuts, Nylock Nuts & Domed Cap Nuts. Stainless Steel Blind Rivets & Monel Metal Blind Rivets, Dome and Countersunk Heads. Stainless Steel Dowel Screws for Fixing Solar Panels. Dow & Roll Pins, Through Bolts, Resin Anchors, and Security Screws. Stainless Steel Split Pins / Cotter Pins DIN 94 & Cotter Rings. Stainless Steel Allthreaded Studding, DIN 974. 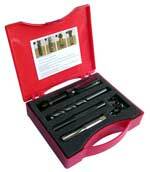 Small tools including screw driver and drill bits. Stainless Steel Washers - Flat A Form, Penny, Spring Lock and Screw Cup Washers.